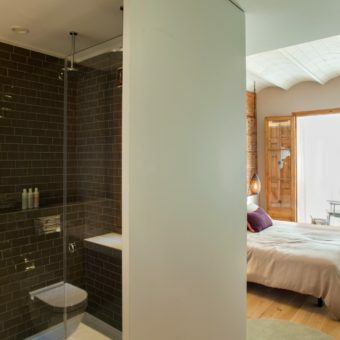 Secluded, romantic retreat. 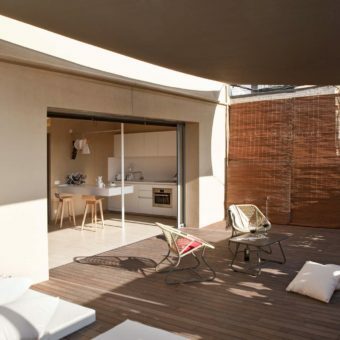 This small, yet perfectly formed 45m2 / 495 sq feet, one bedroom / one bathroom penthouse with a wall to wall sliding glass doors that lead onto the spacious private deck terrace, lending an effortlessly laidback feel to the space. 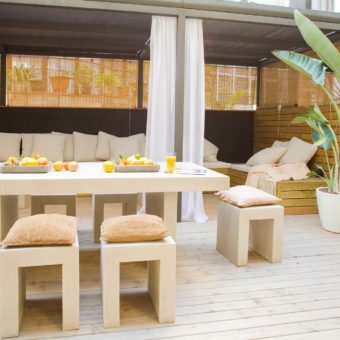 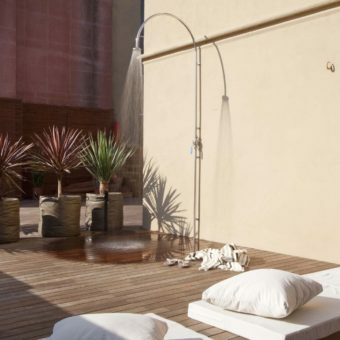 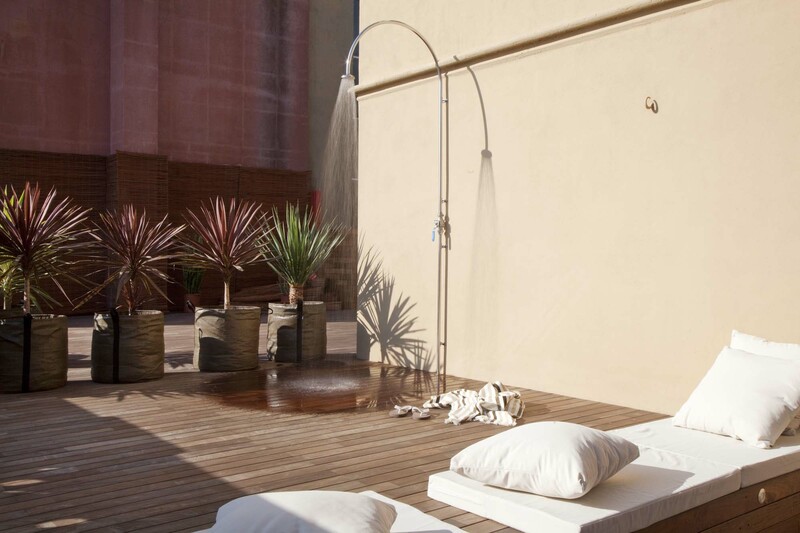 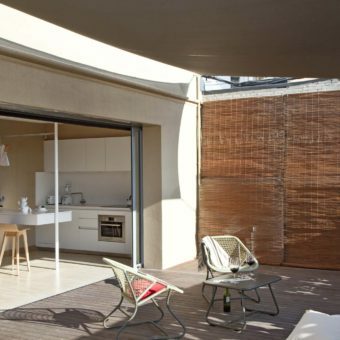 With its lounge cushions and outdoor shower, this ‘outdoor living room’ is the ideal place to start the day with a freshly squeezed juice in the Mediterranean sunshine, or to indulge a glass of cava after a long day in the city. 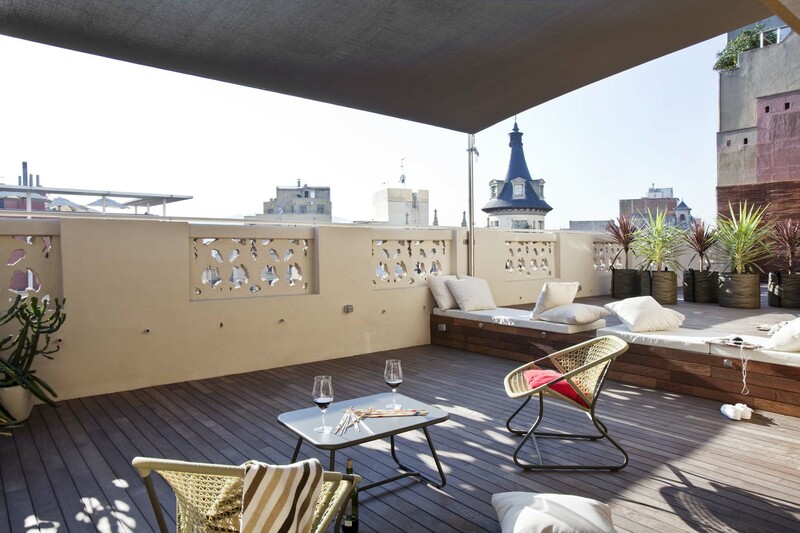 The terrace is protected from winds by high walls, making it possible to soak up the Mediterranean sun on the lounge beds all year round. 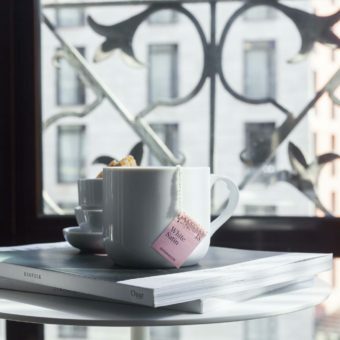 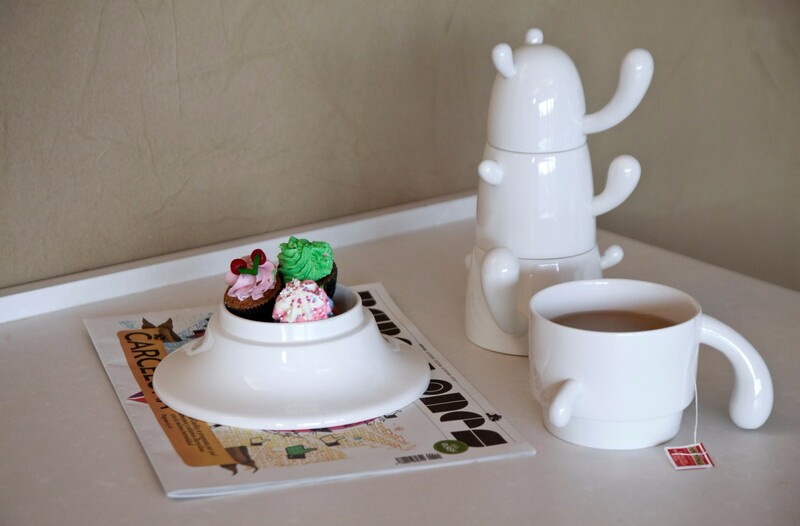 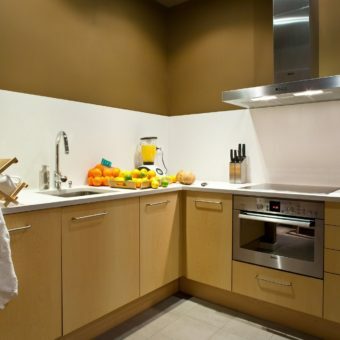 Enjoy your morning cup of tea/coffee at the breakfast bar in the luxurious and bright open plan kitchen. 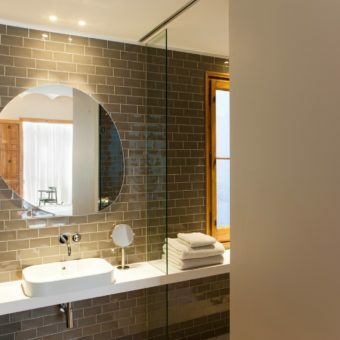 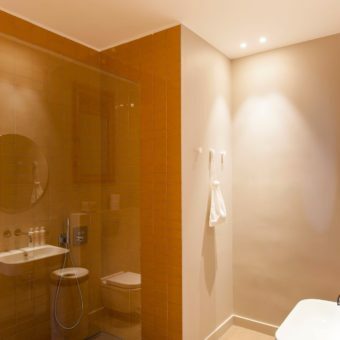 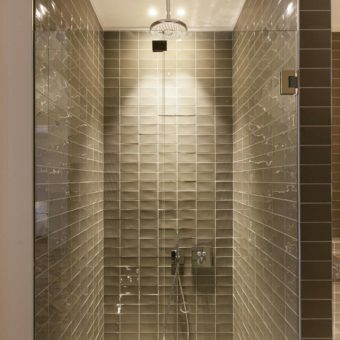 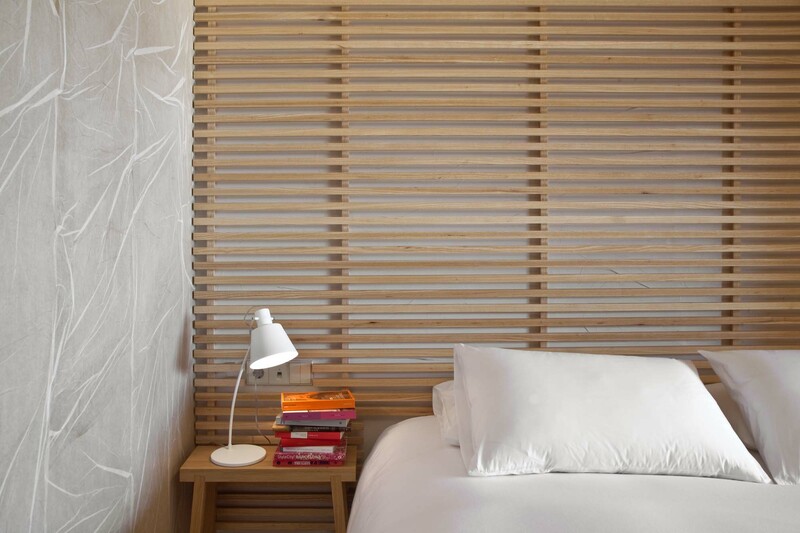 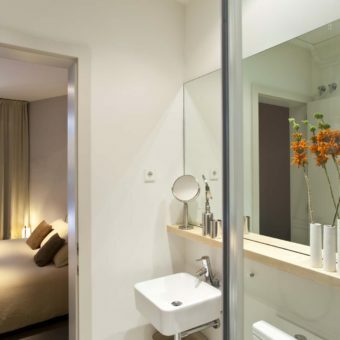 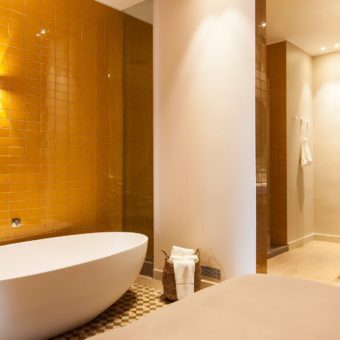 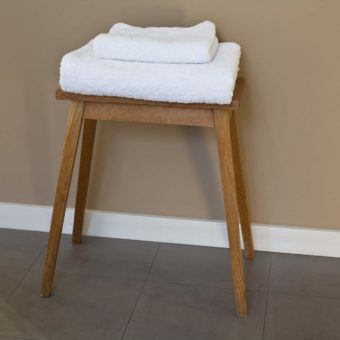 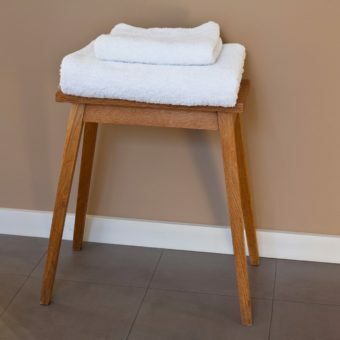 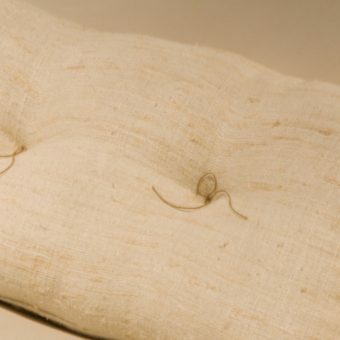 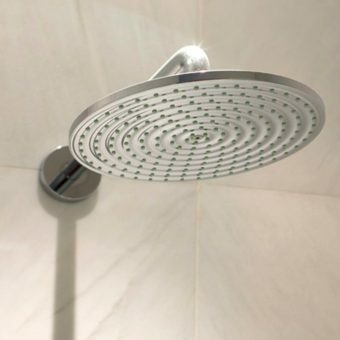 Six flights away from the street bustle on the highest floor of the building, the intimate bedroom with the en-suite bathroom with an extra large bathtub and a rain shower, assures a good night’s rest. 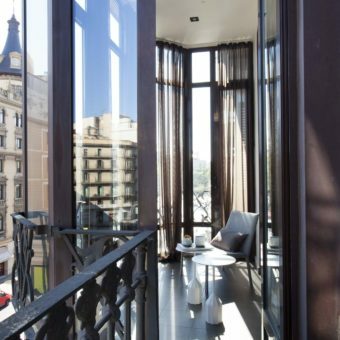 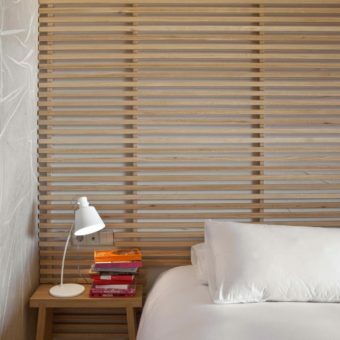 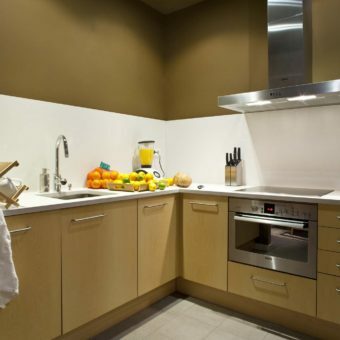 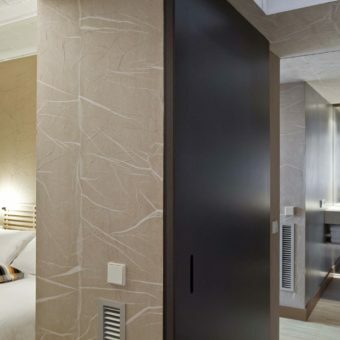 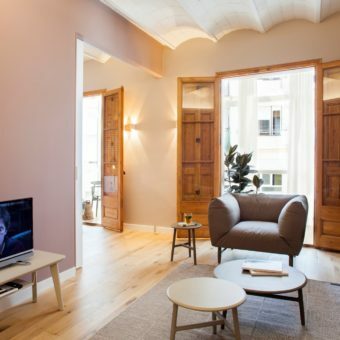 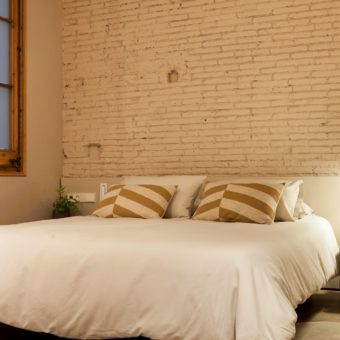 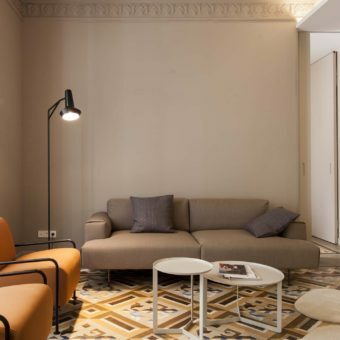 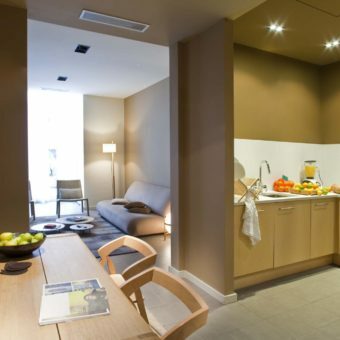 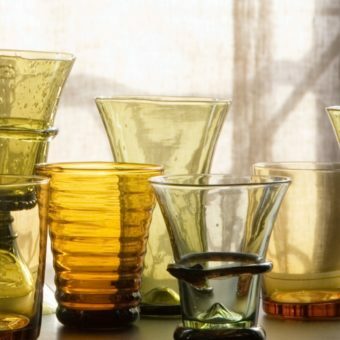 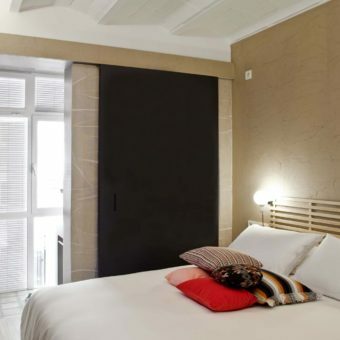 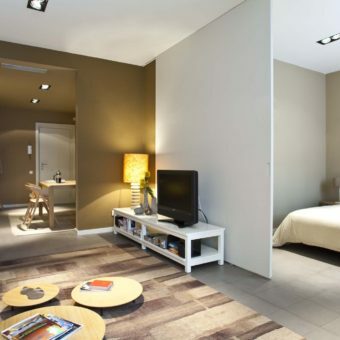 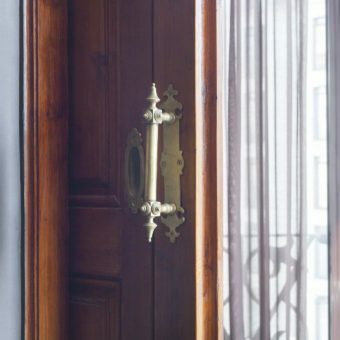 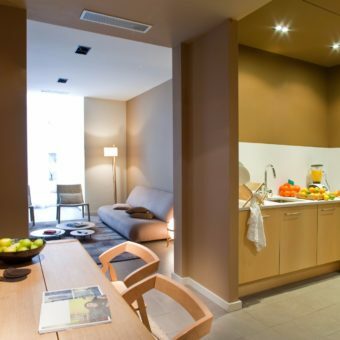 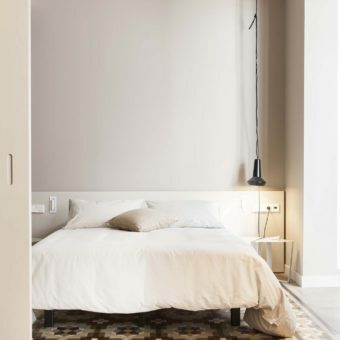 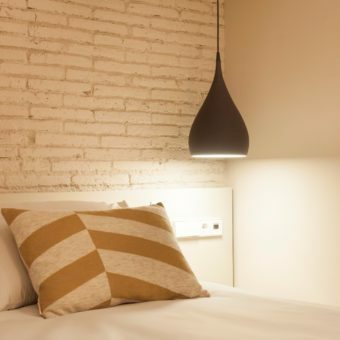 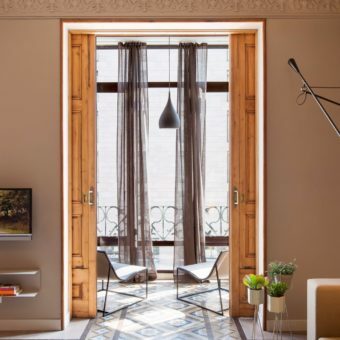 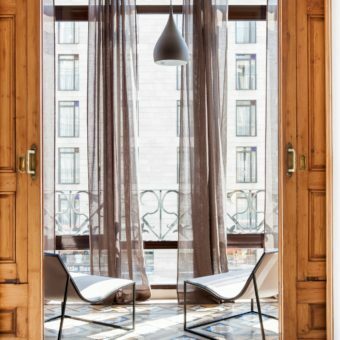 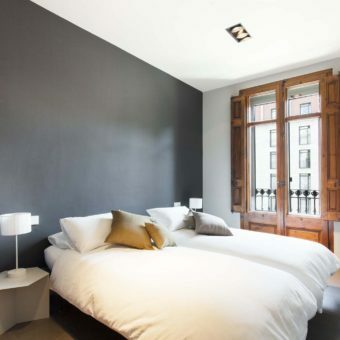 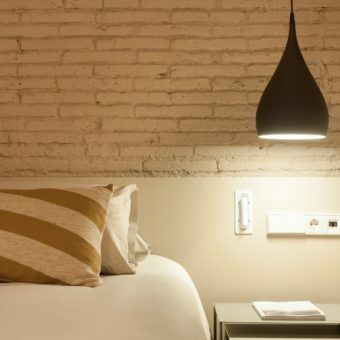 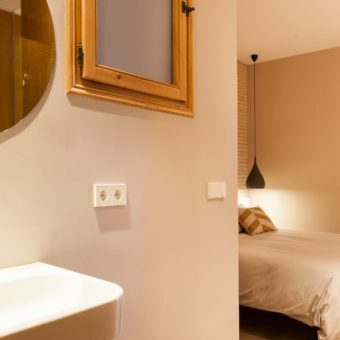 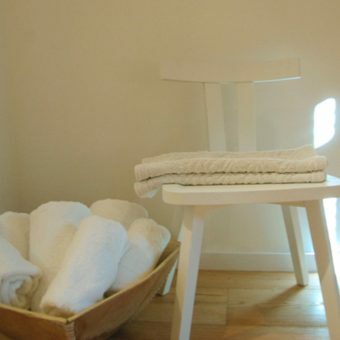 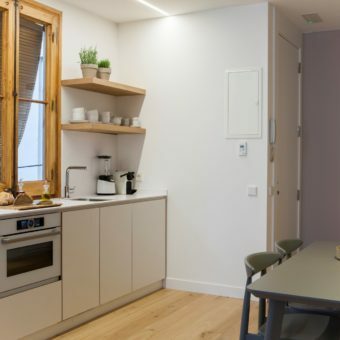 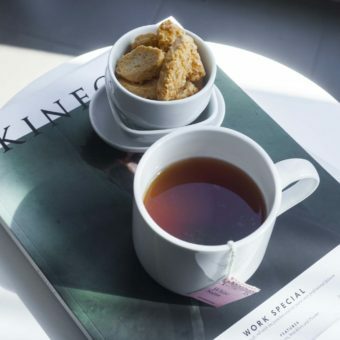 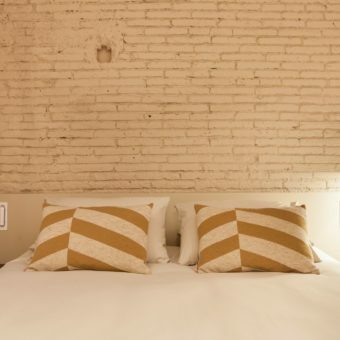 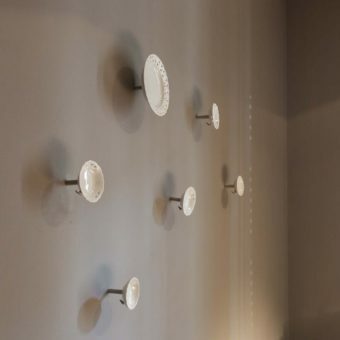 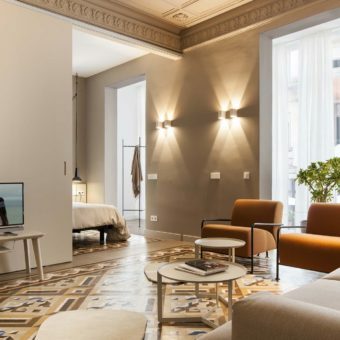 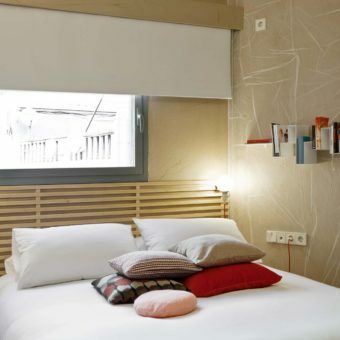 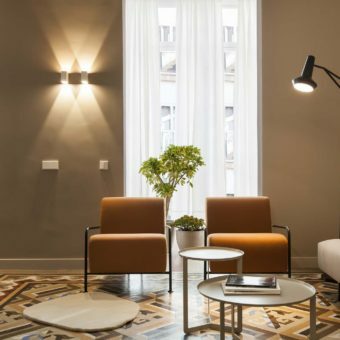 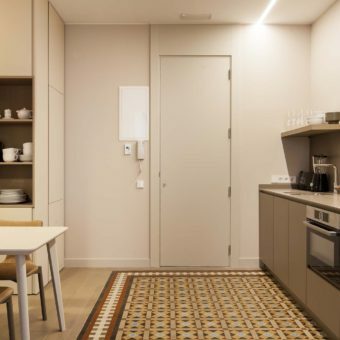 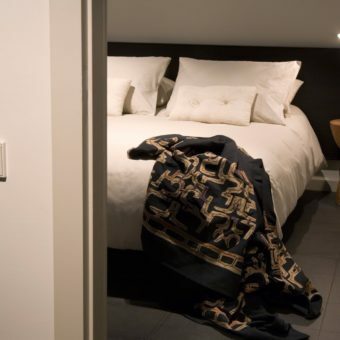 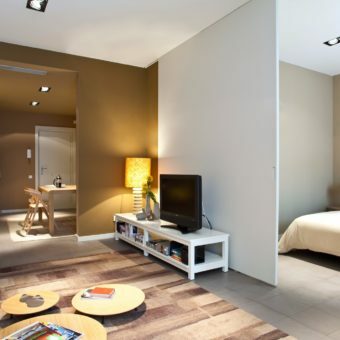 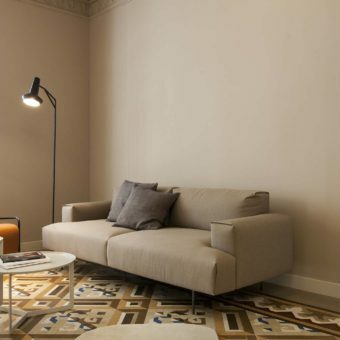 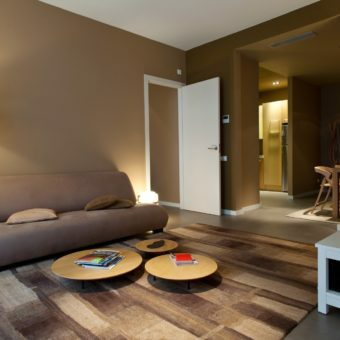 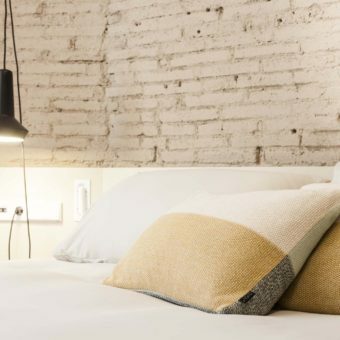 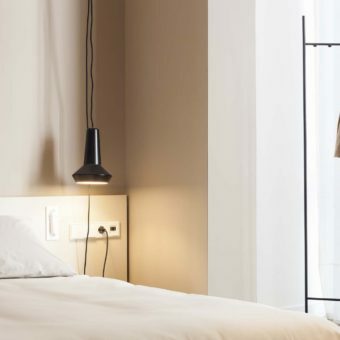 The apartment is centrally located just a stone’s throw away from the bustling La Rambla and the MACBA and CCCB museum. 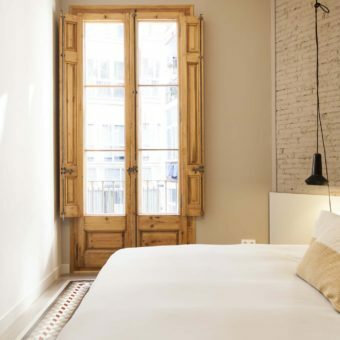 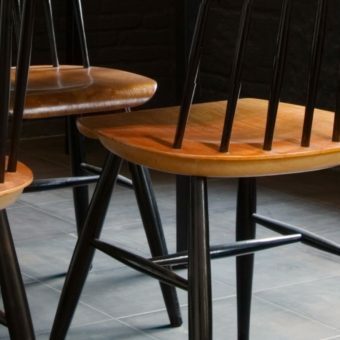 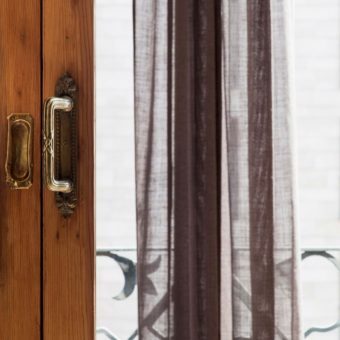 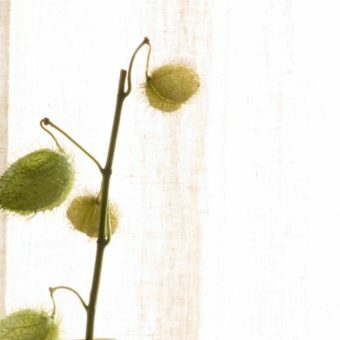 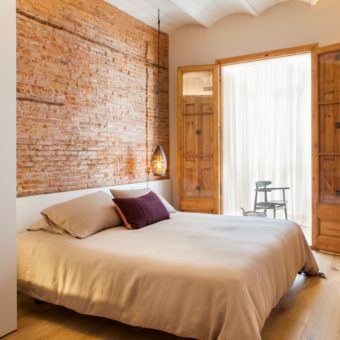 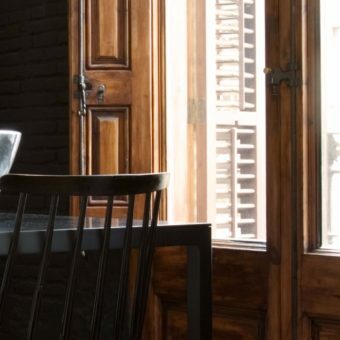 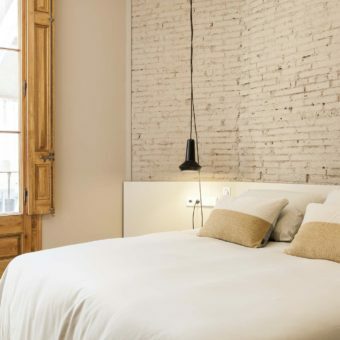 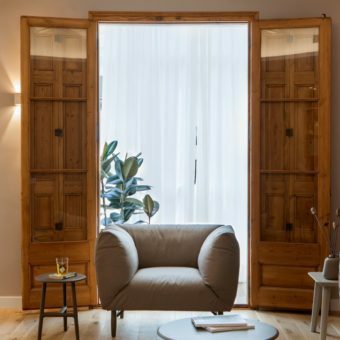 Bordering laid-back Raval and Barrio Gotico to the west and the elegant Eixample district to the North means that there is a wealth of quality restaurants and bars near your doorstep. 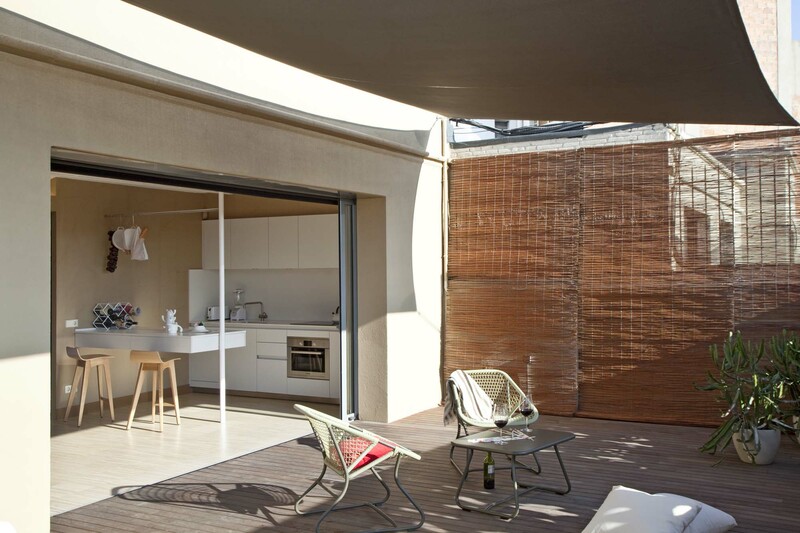 + A bright living room facing the terrace. 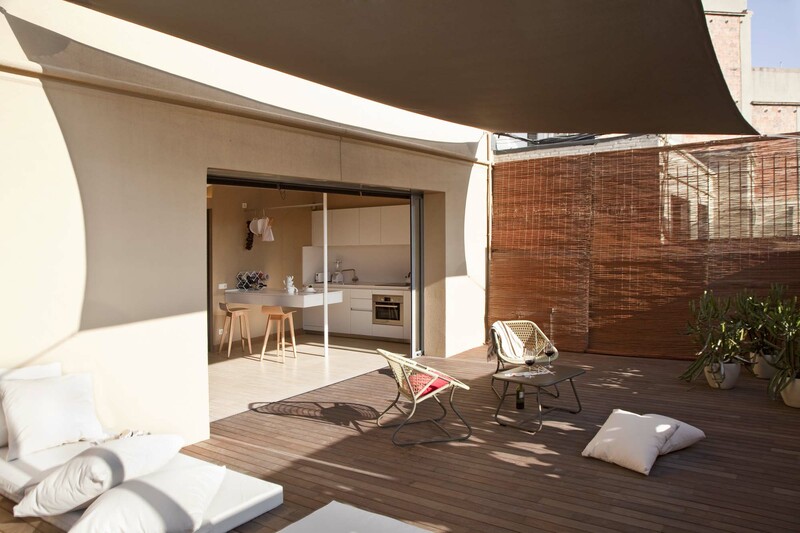 Sliding windows open onto the large private terrace. 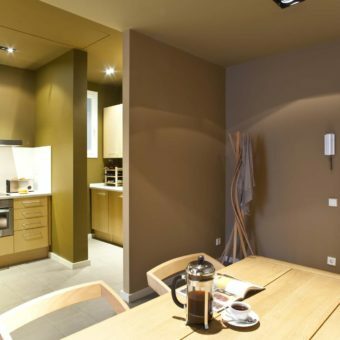 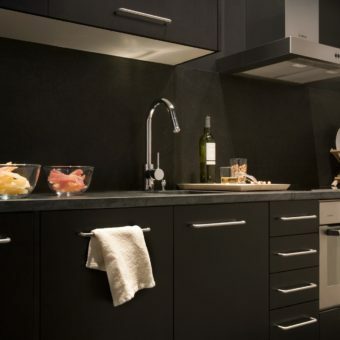 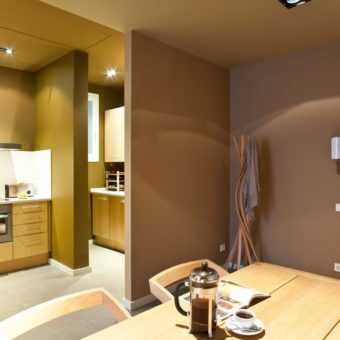 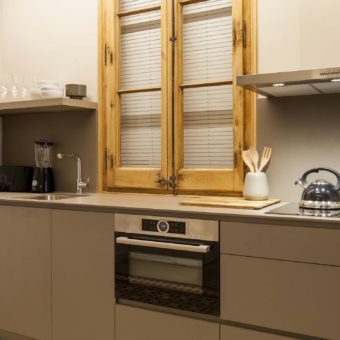 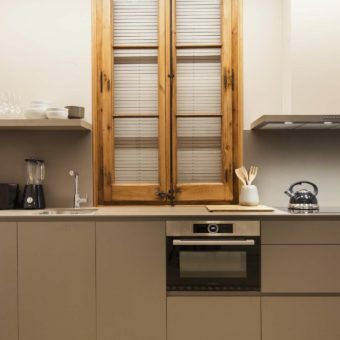 + A kitchen with high quality appliances: a fridge, dishwasher, microwave/oven combination, induction hob, toaster, Nespresso coffeemaker, juicer, blender and cooking utensils. 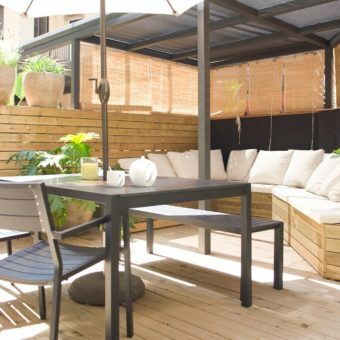 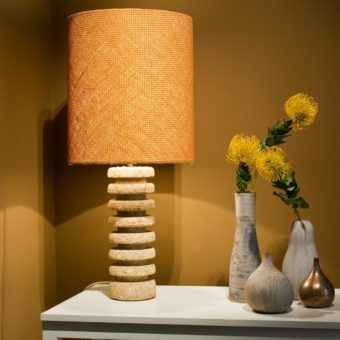 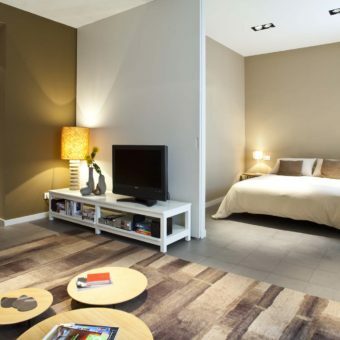 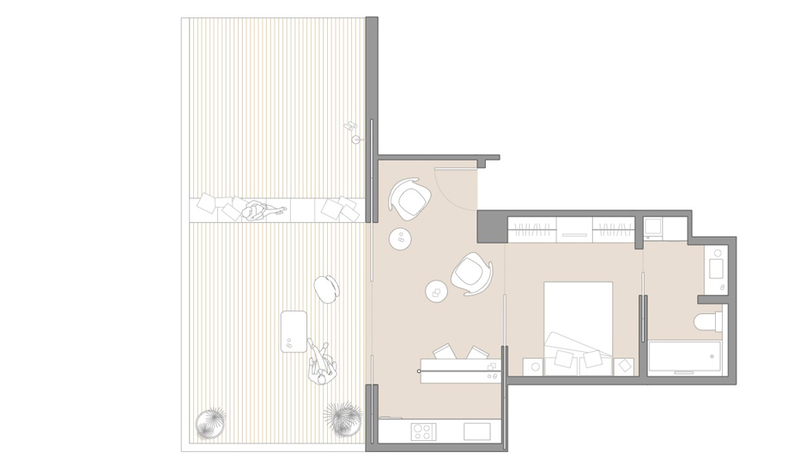 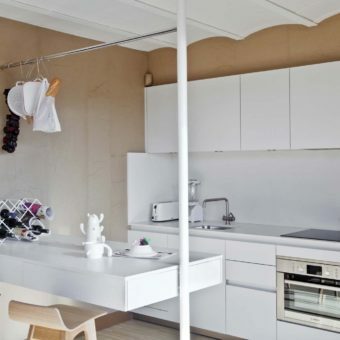 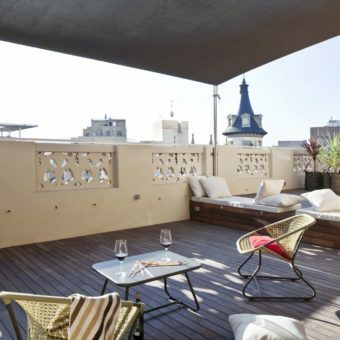 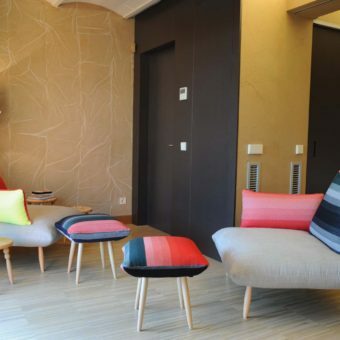 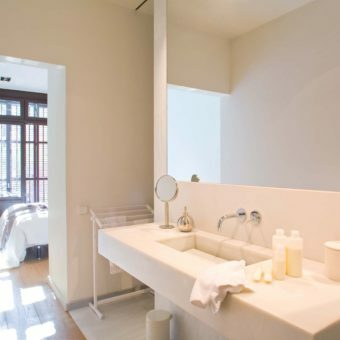 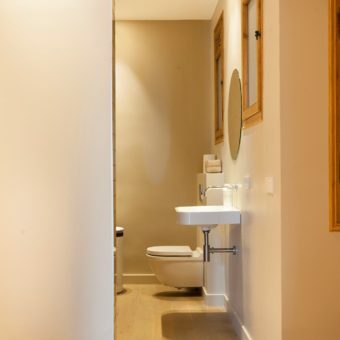 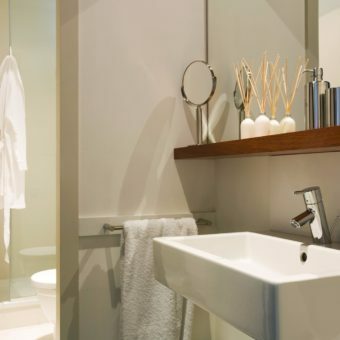 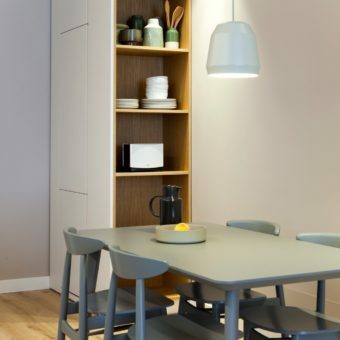 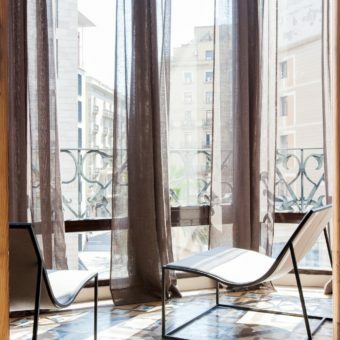 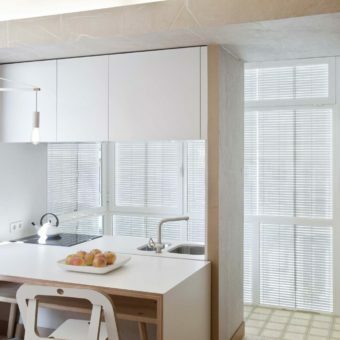 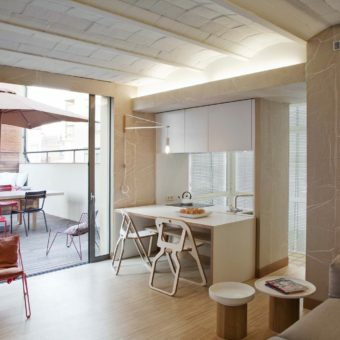 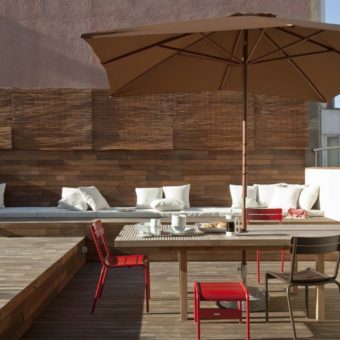 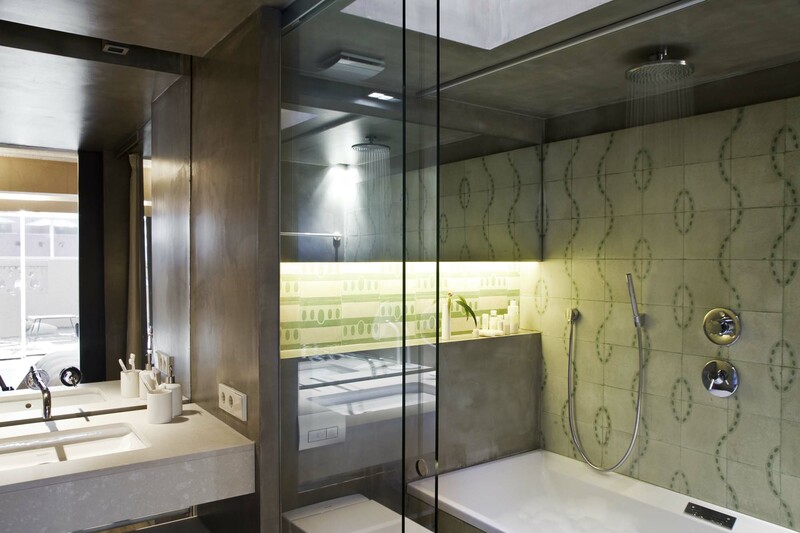 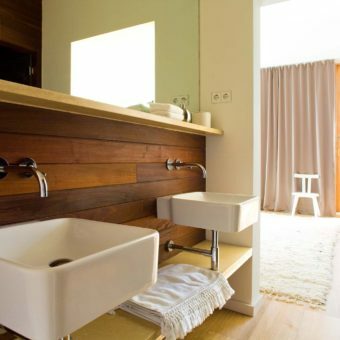 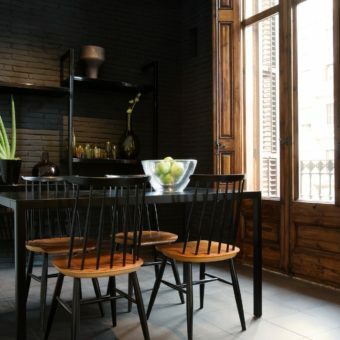 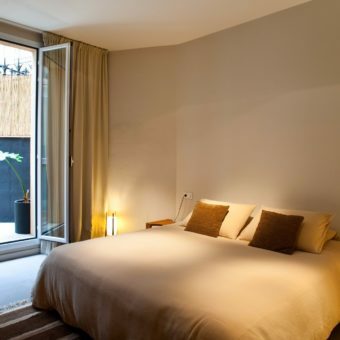 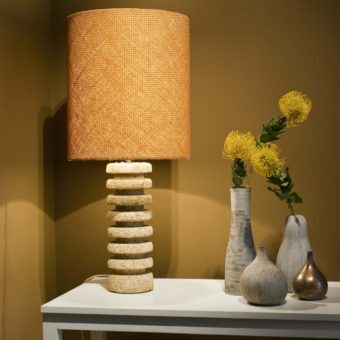 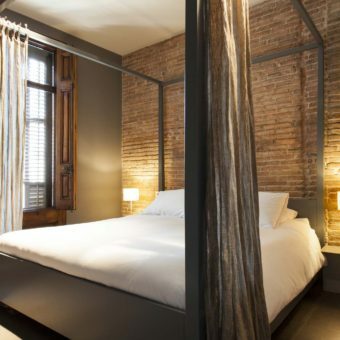 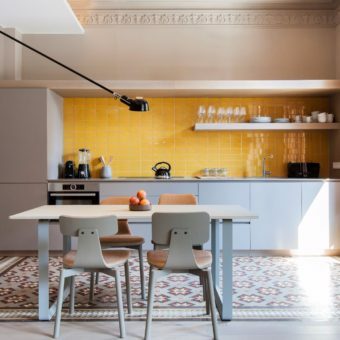 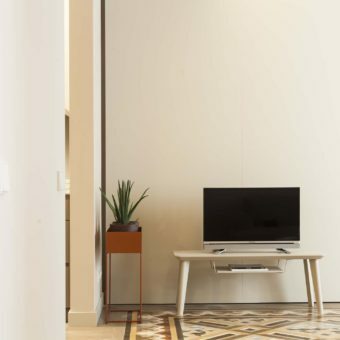 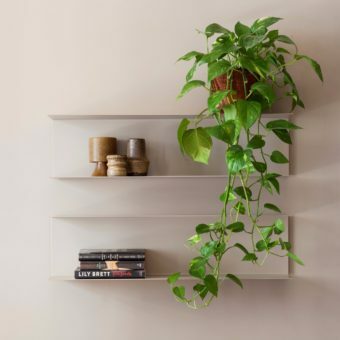 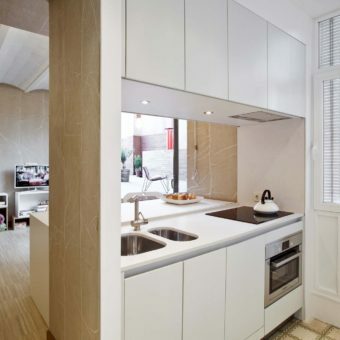 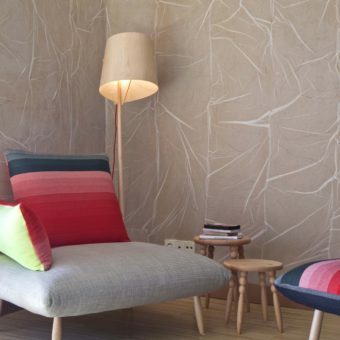 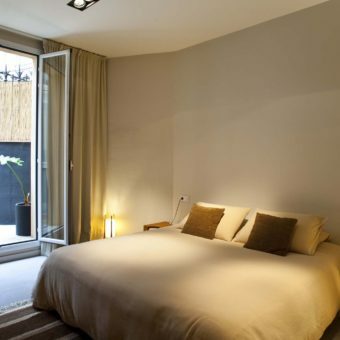 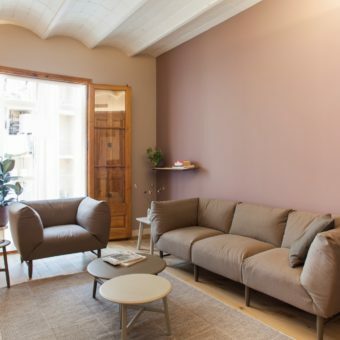 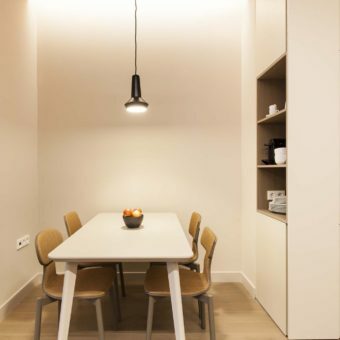 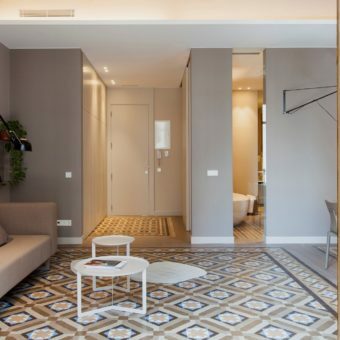 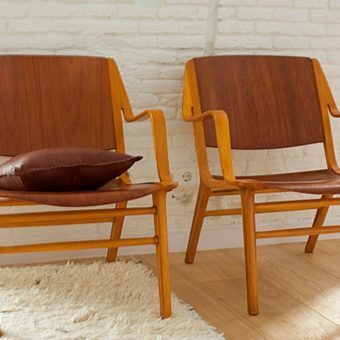 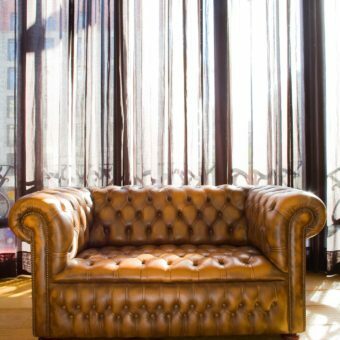 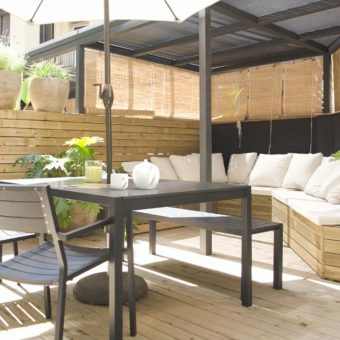 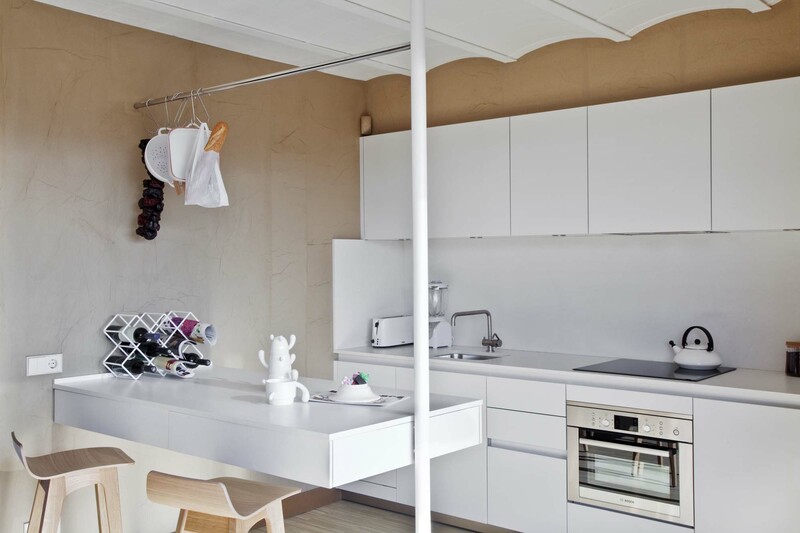 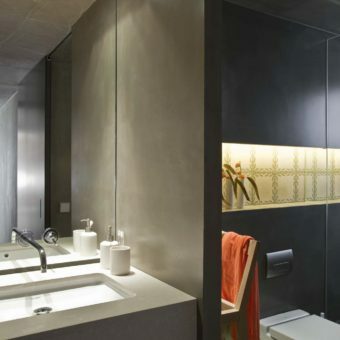 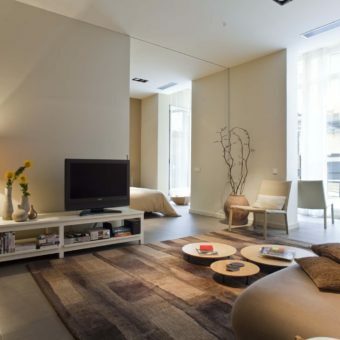 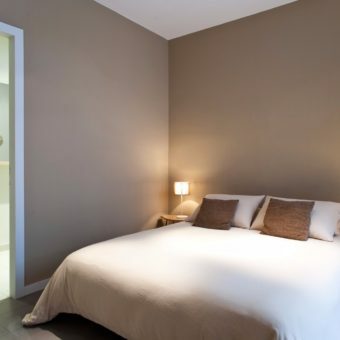 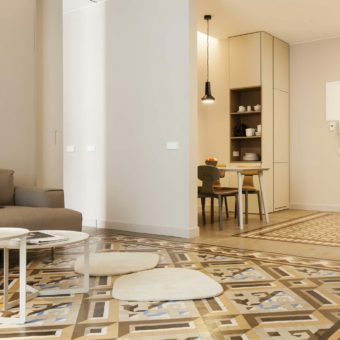 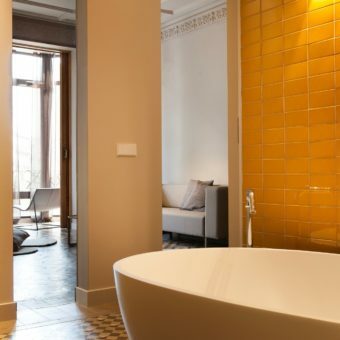 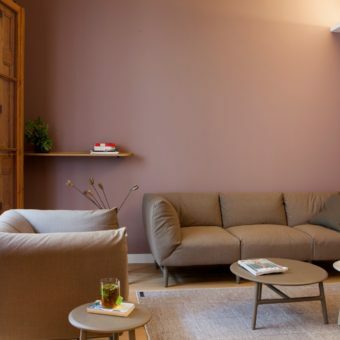 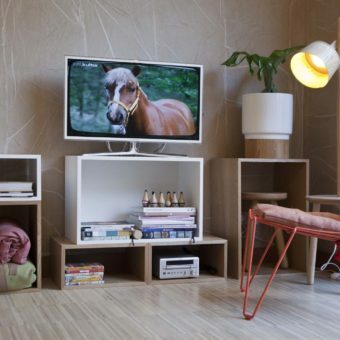 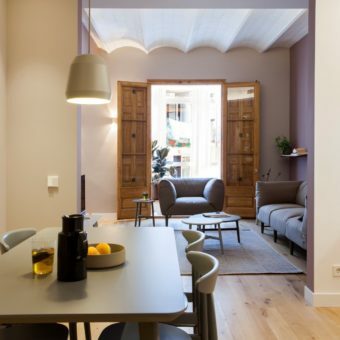 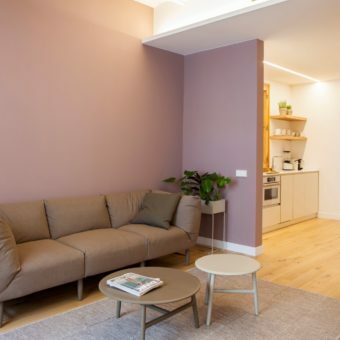 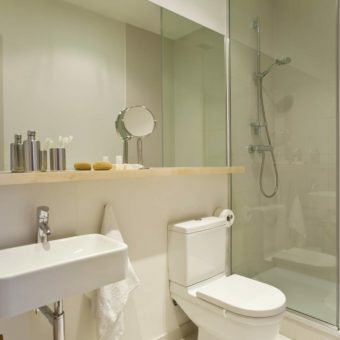 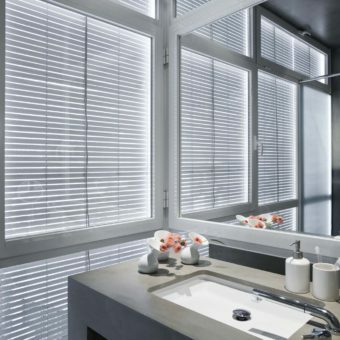 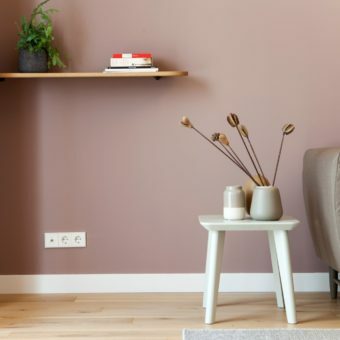 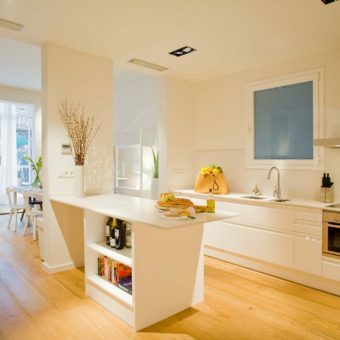 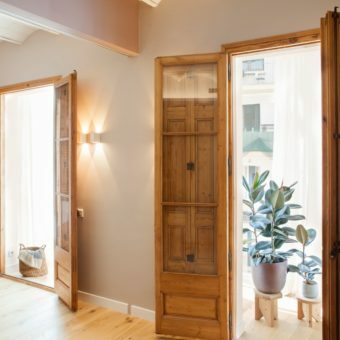 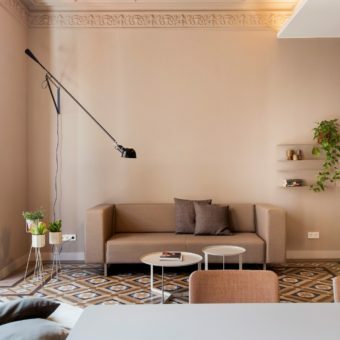 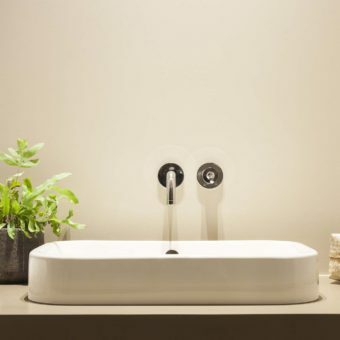 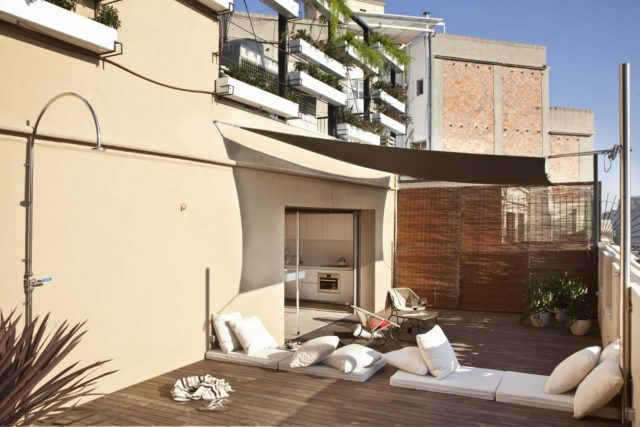 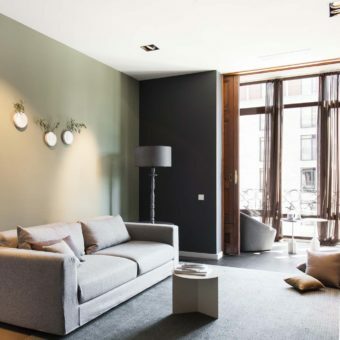 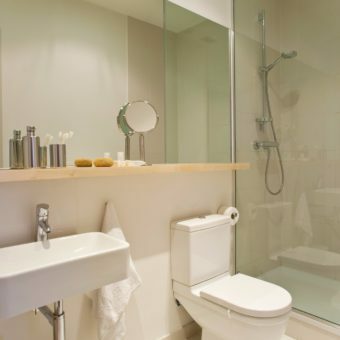 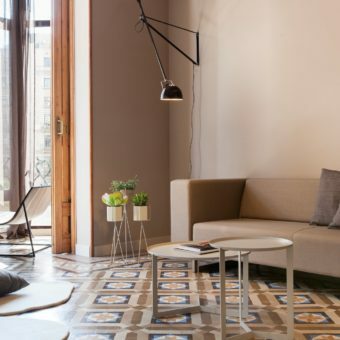 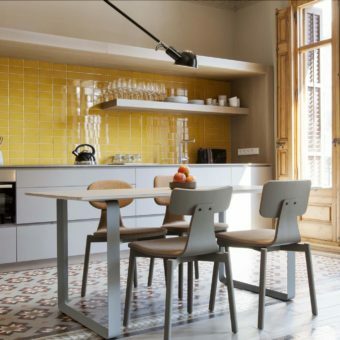 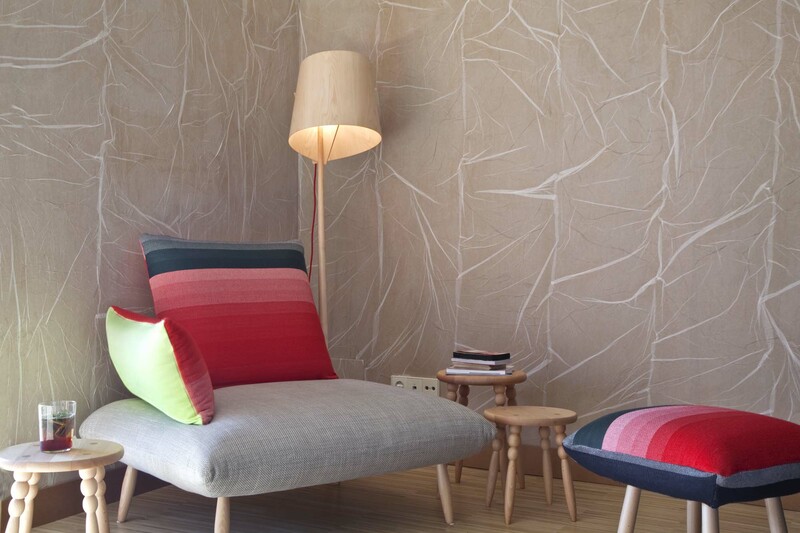 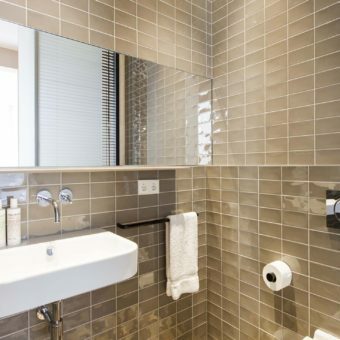 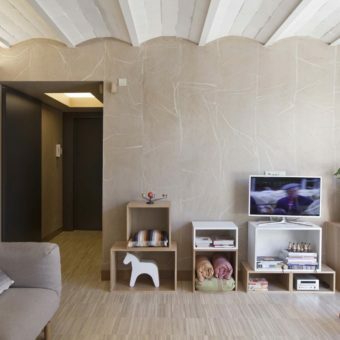 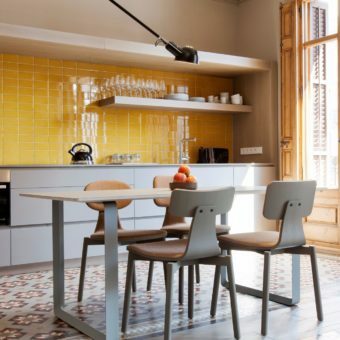 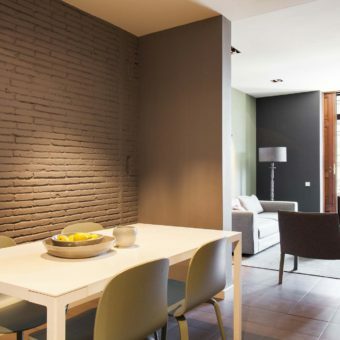 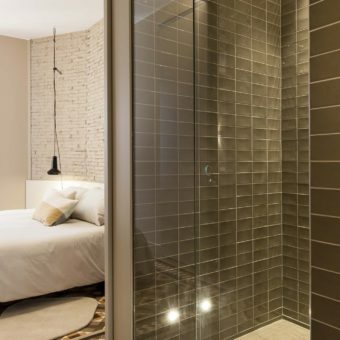 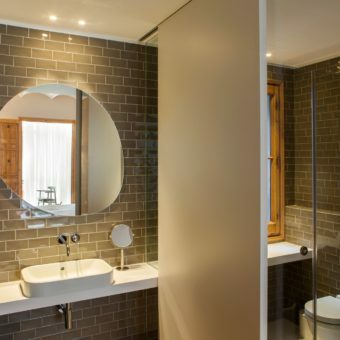 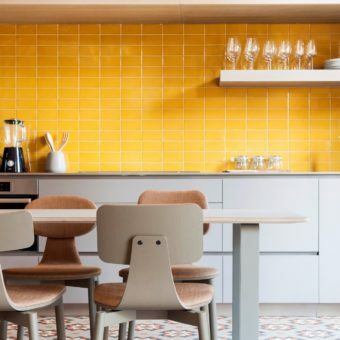 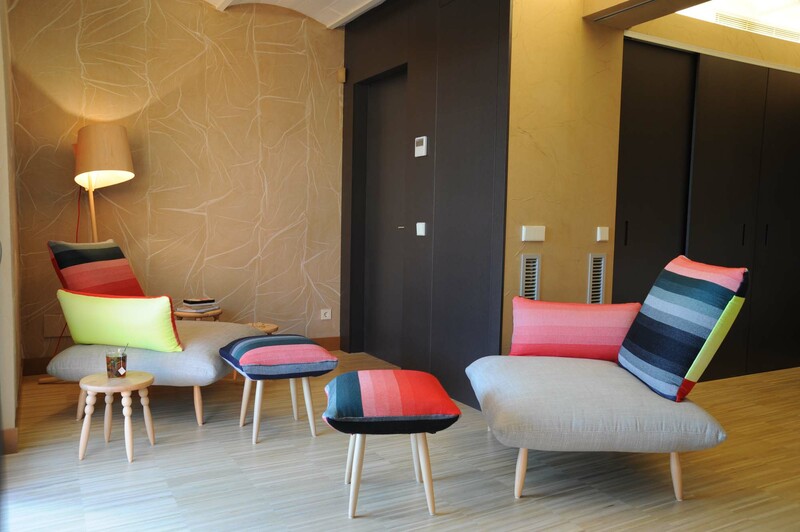 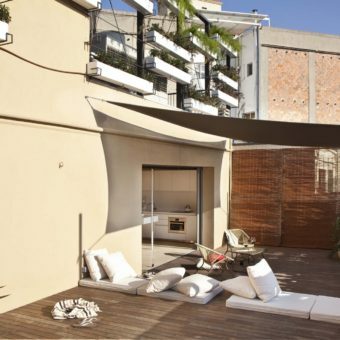 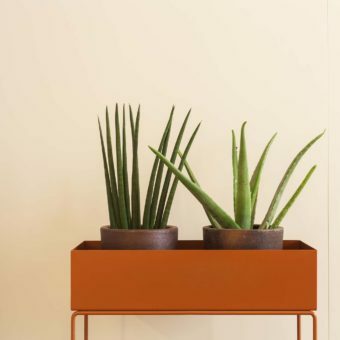 The Naoko penthouse apartment is situated just by the popular and vibrant areas of Eixample, Gothic, Raval and Ramblas.